Corporate Rentals and Destination Services conducted over 620 tours, a combination of rental relocation, area tours and settling in services in 2018. 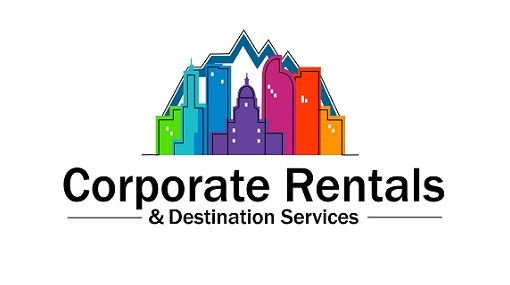 Being that active in the market and utilizing our over 17 years of experience, Corporate Rentals and Destination Services (CRDS) is Portland’s premier rental relocation and destination services company – the go-to source for those relocating and looking to rent instead of buy. Corporate Rentals and Destination Services offers Rental Home Tours, Area Overview Tours, Site-Unseen Home Rental Tours, School Tours and more. Whether you are a single person or a large family, leaving behind what you know and attempting to navigate a new market while shifting into a new role with a new company is stressful. And when you couple that with a high demand, low vacancy rental markets, any person is bound to feel overwhelmed, distracted and discouraged. That’s why we’re here. Partnering with local relocation departments, corporations and private parties, CRDS is well-known for helping new employees and transferees of all types and with varying budgets find a great short or long term rental to call “home”. By combining our market expertise with an unwavering dedication to efficiency, quality and professionalism, the result is a smoother relocation and more successful transition. We welcome the opportunity to earn your trust and deliver you the best rental finding and settling-in service in the industry. Corporate Rentals & Destination Services is focused on providing high-quality service and customer satisfaction – we will do everything we can to meet and exceed your expectations. Customer service is our highest priority…others say it, but we know our business is built on it! Her resume, as she’ll say, may “read like the yellow pages”, but ultimately it was her 20+ years of real estate experience and investments in Portland’s real estate market and her years of both Public Relations and sales experience that spawned her true passion: a top-notch, highly efficient, customer-service oriented rental and destination services company. Having the professional relationships, experience and equivocal love of the industry and the city, Kris has set herself apart as a true professional in the field. 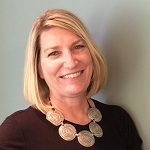 Kris’ love of the business is apparent and her research and negotiation skills, coupled with her sincere concern for each and every client, has built a strong reputation for working hard on behalf of each and every client. The result: a highly efficient and successful experience for CRDS clients and also why it’s best to start with Kris when you don’t know Jack. she loves spending time with her 8 children and attending volleyball tournaments with her future Olympic Volleyball hopeful youngest daughter Chloe and 4 grandchildren…yes, grandchildren! 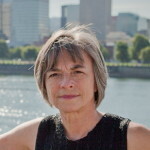 With all her experience, Lili is a great resource and an enthusiastic fan of all things Oregon! Christine has lived in Portland for 20 years and loves all things Oregon. She enjoys hiking the outdoors and is a tennis player too. She has been married for 25 years and has three children. Her twin daughters are heading off to college in the fall. Christine loves sharing her knowledge of Oregon and all it has to offer. 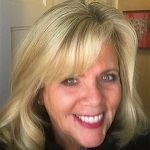 With as diverse a background as Penny has, she brings a lot of talents to the table…Penny has worked in news radio, sports marketing and events management and she has worked in the health care field, (home health, hospice, organ donation) for over 20 years. She has a lot of compassion, respect and caring for those who are dealing with grief, loss and end of life issues. 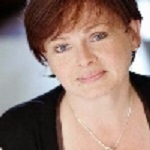 She is a published author and a certified life celebrant, specializing in memorials, Celebrations of Life and Pet Tributes. Currently in property management and she is excited to be part of the CRDS team! Ask Penny about new restaurants in Portland or about Portland neighborhoods, which she loves to walk. Penny loves foreign films and traveling to Europe. She lives with her 2 cats and calls herself an HGTV addict. Having lived here most of her life, the City of Roses is definitely home. After a career in telecommunications that took her to Ireland for a short while, Gradine transitioned to a life in Real Estate. That experience makes her a natural fit with the CRDS team. Ask her what she loves most and Grady will tell you she loves what our diverse Portland has to offer with biking, hiking & walking neighborhoods; variety in awesome local musicians; great food, micro brews & wineries and active river life on the Columbia & Willamette rivers. If you enjoy the mountains & the beach, theatre pubs, a renowned Blues Festival, Portland Trailblazers, Portlandia & Grimm like Grady does, then like Grady, you will think that Portland living has it all! Meghan Pence Born in California and raised in Washington, Meghan found her “home” in Oregon more than twenty years ago. Meghan’s husband proposed at Portland’s Japanese Garden in 1992. Since then, they’ve made their home in the Rose City and enjoyed all things Portland: world class restaurants, breweries and coffee houses. Along with her family, Meghan loves skiing and exploring Oregon. Favorite places include the Oregon Coast, the Columbia River Gorge and the Painted Hills, in Central Oregon. Melanie grew up in Denver and enjoys the city’s thriving cultural scene as well as spending time in the beauty of the Rocky Mountains. She loves that she can go see a great live music or comedy show one day and then spend the next snowboarding with her family at some of the best slopes in the country. Although she has an active lifestyle and a healthy appreciation for the outdoors her version of “roughing it” is more likely to involve a camper and speedboat vs. a tent in the wilderness. Melanie has spent the last few decades working and raising her family in the Greenwood Village area and has extensive knowledge of Denver’s neighborhoods and school systems. She is excited to share the hidden gems about the front-range with all of those who are looking for an “elevated” change. How many hours have you spent looking for a rental, only to find it has been rented? Or you take the day off only to wander around your new city in areas you don’t want to live? Let Corporate Rentals & Destination Services take the hassle out of the process.Based on your preferences and our market knowledge, we set up appointments with qualified rental options, pre-negotiate pets, pricing and contract details, and do so on a day that works for your busy schedule. Whether it’s an Area Overview Tour, a Rental Home Tour or we’ve set up a day to help you navigate the DMV, Social Security office and other essential services, our tours allow you to sit back and enjoy the relocation process, freeing up your time to discover and enjoy your new city. Thanks for checking in with me to make sure all went well. I want to make sure that you are aware of the tremendous help your services were to us. Jim and I were very impressed with the degree to which the selection of properties to show us reflected what we were looking for as well as diversity across location and type of rentals where we had asked for it. Our Tour Specialist was not only friendly, fun and thought of everything, she was informative and advocated for us in ways we would not have thought of with rental representatives. Ultimately, because of our experience with Corporate Rentals, we feel completely convinced that we found what works best for us. I could not recommend your services more highly. Thanks again for all the personalized help!!! Michelle gave me a great tour which really helped me get an idea about the various neighborhoods of Portland. I am so grateful for the tour as it opened my eyes to more than I could have seen on my own. I will keep you posted on Nike! Thank you! The rental tour in Bend went extremely well and I was able to find/sign a rental that met my needs. Lisa did a fantastic job and I would highly recommend her services. Thanks! Thanks for checking in. The rental tour was great! Lili and Kris from the rental tour company were really great - they quickly got a sense of what I was looking for and helped me find some great options in the area. Lili was very thoughtful and efficient throughout the day, making sure that I had the information I needed from each place to help make decisions. The tour was a great idea for getting a good sense of portland - thanks! Thank you so much for this morning. I felt super welcome and embraced by the true Oregonian energy in your company! Look forward to seeing you again! What is the current state of the Portland rental market? remain high through the summer and then come down slightly in the fall and winter months. city. The increases are not only in the city, but in the outer areas such as Hillsboro as well. Parking in the city increased this year by about 17 percent this year. It’s always worth a shot, but because rentals are moving, landlords are not necessarily compelled to negotiate, particularly in the city. Sometimes, it might work better to negotiate with fees and lease term. What if I like a place I see managed by a property management company but there are certain things that I feel need to be fixed or improved upon? Make application with a specific list of requests. It’s important to know that often the little items, such as clean the windows or clean up the yard are considered reasonable, but it’s much tougher to get carpeting replaced throughout. However, you can always ask. Your application is then based on the items you request being fixed and they can at that time tell you yes or no, whether they are willing to work with you on the items specified or not. What are the costs I have heard about in the Pearl and downtown that involve the HOA companies? Portland’s rental market is hotter than it has been in at least 8-9 years and units at all price points, $800 to $5000 are moving—the hot areas of town see rentals move very swiftly. Of course, the high-end units don’t move as fast as the lower end. In the city, the $1500-$2600 units move the fastest. Do renters pay HOA fees on condos? Why don’t more people offer month-to-month leases? It is expensive (and a hassle) for landlords to turn over a property. It is in his or her best interest to have someone who will stay for a while. Advertising, cleaning fees and the time involved are all factors. HOA-run buildings (all condos) charge a fee between $300-$600 for move in and move out. This fee includes city permits so that your moving truck can block the street and elevator usage (padding the elevator and making it off limits to others during your move. Many include a security guard to watch your moving truck while it is being unloaded). The one-time fee paid at move in includes move-out. What are typical charges for a pet? Pet deposits are high in this market—as much as $500, even $1000 per pet, potentially refundable. Pet rent is becoming much more common in the Portland metropolitan market—it can range from $25-$50 per animal and sometimes as high as $100 per pet when no pets is really preferred. The range is $250 and up. What are some of the other fees I can expect to pay? What about the rent specials apartment complexes offer? What are the rules on dogs? When I have found a place, what are my next steps? $35-$100 application fee for each person 18 and over, pet deposits and/or pet rent (per animal) and security deposit based on approved credit, typically one month’s rent and sometimes more (based on credit) and first month’s rent, pro-rated. What is a typical rent term in Portland? Can I get month-to-month or shorter than one-year lease terms? If a landlord will take a dog, typically, there will be a weight limit, such as under 25 lbs or under 35 lbs. Breed restrictions are extremely common here—German Shepherds, Pit Bulls, Rottweilers are all on the list, to name a few. Some don’t care about size as much as breed but insurance companies dictate some of the breed restrictions and are not interested in offering coverage on properties that have some of the more aggressive breeds. For this reason, landlords don’t want to deal with it. Others charge a monthly pet rent ($20-$50/month per pet.) A newer trend in the market is “pet interviews” based on a case-by-case basis. Is parking included with Portland Apartments? Who is responsible for the yard upkeep when I rent a house? Typically it is expected that the renter keep up the yard. Usually when the landlord agrees to take care of lawn care, the rent reflects it with a higher rent (typically about $75-$100/month). Lease break terms are fairly reasonable in Oregon, most of the time. Typical terms include thirty days notice and one month’s rent but some management companies ask for two months rent plus all advertising costs until it is rented and more. What if credit is “less than stellar”? What items are needed to make application? How long does it take to get approved in Oregon? To be most prepared, have photo ID, a checkbook, three years previous landlord names/current phone numbers, a work offer letter (if corporate transferee), a pet photo and pet references from former landlord.